iPad 2 " Wifi R2 "
Our hackers has improved the quality of the new version of Absinthe 2.0 jailbreak. With the new version of Absinthe there is no need to put your devices in DFU mode as shown in the following video. 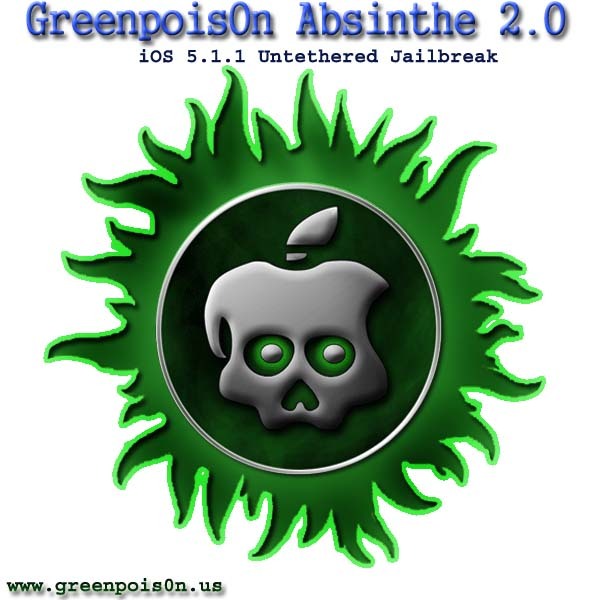 Jailbreaking process will take 5 minutes and it will inject Cydia directly on your iDevice, unlike older version of Absinthe 0.4, you won't need to tap on Absinthe to install Cydia. Some information we got show that MuscleNerd will release redsn0w with new version of CLI along with Greenpoison Absinthe 2.0. Update : Click here To Download Absinthe 2.0 To Jailbreak iOS 5.1.1 Untethered On All iDevices. Stay tuned with us on our Facebook page, Twitter page and Google + page to inform you with iOS 5.1.1 Untethered jailbreak as soon as it is released.